“The Long Game of Betsy DeVos” by Jennifer Berkshire. Via Politico: “Trump’s education secretary pick supported anti-gay causes.” Pretty sure that’s the case for every cabinet pick Trump has made so far. “Anti-Common Core Groups Unhappy About Trump Ed Secretary Pick Betsy DeVos,” says the Sunshine State News. Via The Columbia Dispatch: “Group once led by Trump education secretary nominee owes $5.3 million to Ohio.” The money owed is by All Children Matter Inc stemming from fines to the Ohio Elections Commission for violating campaign finance law. “Colleges’ Realities May Curtail DeVos’s Agenda,” says New America Foundation’s Kevin Carey. “What’s the worst that could happen under New Ed Secretary Betsy DeVos?” asks The Hechinger Report, with the hellish-scenario game we get to play for the next four years. Yay. Liberty University’s Jerry Falwell Jr says Trump offered him the Secretary of Education job first. “What Is the Future of the Office for Civil Rights?” by The Atlantic’s Melinda D. Anderson. More on how Trumpism is affecting schools in the campus and research sections below. “Eighth-grade students across the United States showed some improvement in math and science over the past four years, but fourth-graders' performance was stagnant and students in both groups continued to trail many of their peers in Asia, according to the results of a major international exam released Tuesday,” The Washington Post reports. The test in question: The Trends in International Mathematics and Science Study (TIMSS) which is administered to students around the world. Via The Center for Investigative Reporting: “McCain assails Pentagon for being too harsh on for-profit college.” McCain was angry that the University of Phoenix, one of his biggest donors, was sanctioned for predatory marketing to veterans. The Center for American Progress examines the enrollments in graduate programs at for-profits, noting that despite a drop in undergraduate loans, the money is still “flowing” for graduate student loans. Coding bootcamp Revature is partnering with University of South Florida to offer an online tech training program. Via Google’s press release: “Google and Bertelsmann launch mobile digital skills initiatives with Udacity – 10,000 Android scholarships available for EU developers.” No mention that Bertelsmann is an investor in Udacity, or that Udacity’s founder is a former Google exec. Colorado Heights University will close, according to The Chronicle of Higher Education, after losing recognition by its accreditor. Inside Higher Ed looks at how Trinity College in Connecticut is changing under its new leadership. “Blocked Overtime Rule Sows Uncertainty for Colleges,” says The Chronicle of Higher Education. 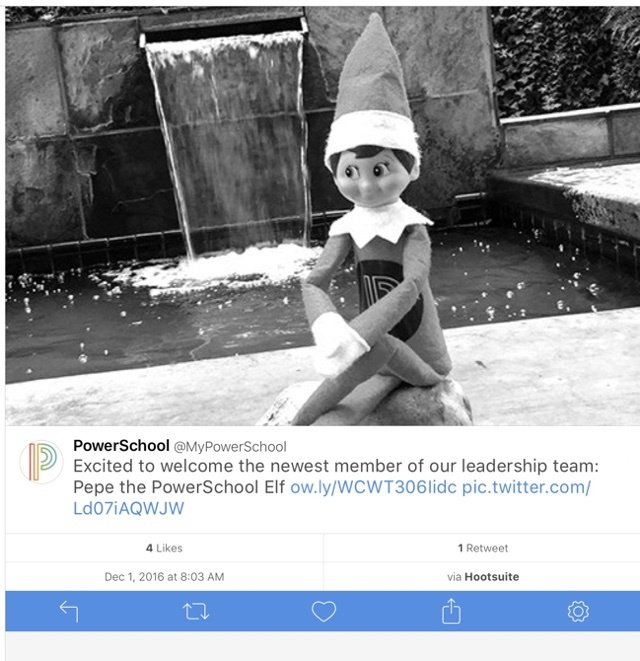 PowerSchool says it’s changed the name of its surveillance elf from the racist frog to “Pete.” Meanwhile, edX ads appear on Breitbart. Making ed-tech great again, as always. Larry Cuban has another article on AltSchool, which he says marries Dewey and Thorndike. Worst. Marriage. Ever. Inside Higher Ed looks at an “Anti-Authoritarian Academic Code of Conduct” and MIT faculty’s commitment to “shared values” in response to Trump. Via Edsurge: “How to Combat Fake News Online? Bring Reddit (and Other Online Forums) Into the Classroom.” Uhhhh, this seems to overlook what a cesspool of racism and misogyny Reddit is and how it’s been a key part of misinformation campaigns in the past. Livingtree, a private social network for schools and parents, has been acquired by Dean Drako, CEO of Eagle Eye Networks. The terms of the deal were not disclosed. Via The Oregonian: “Audit: Oregon’s cyber security shortfalls leave state data vulnerable to hackers.” Among the state agencies that were reviewed and found vulnerable: the Department of Education. Via The Guardian: “Libraries promise to destroy user data to avoid threat of government surveillance.” One of the libraries in question: The New York Public Library. Meanwhile, “The Internet Archive is building a Canadian copy to protect itself from Trump,” The Verge reports. Via Inside Higher Ed: “Report Projects Impact of Possible New Recession on Public Institutions.” The report comes from New America. Edutechnica is giving away data about LMS usage for Australia, Canada, and the UK. Mindwires Consulting is selling their report on the European LMS market. “Who Thinks Tech Makes Learning More Fun?” asks Edsurge in a story that looks at the results of a survey by flashcard app maker Quizlet. A report from Teaching Tolerance: “After Election Day, The Trump Effect: The Impact of the 2016 Presidential Election on Our Nation's Schools.” The report cites more than 2500 incidents of harassment traced directly to campaign rhetoric. “Who thinks tech makes learning more fun” seems like the silliest question to be asking right now.